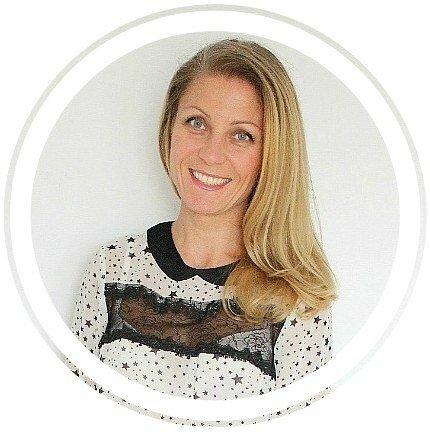 Love upcycling? 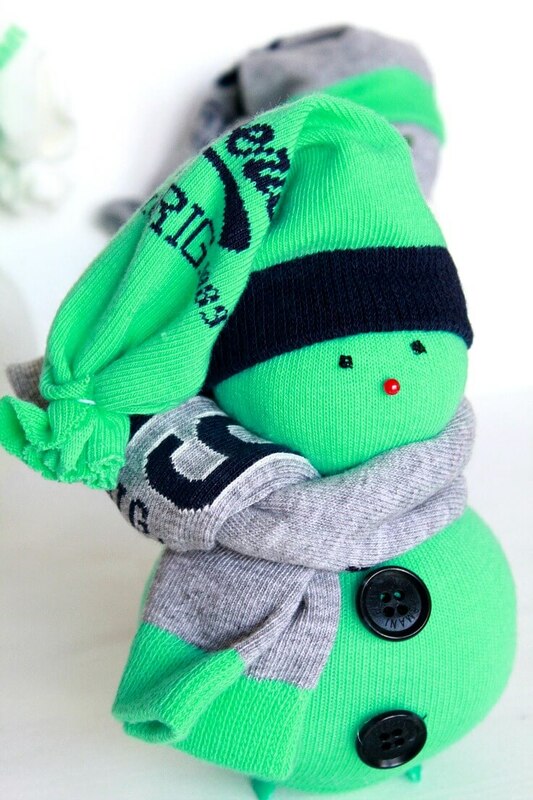 A sock snowman project is perfect to use some socks and create fun, adorable Christmas ornaments! 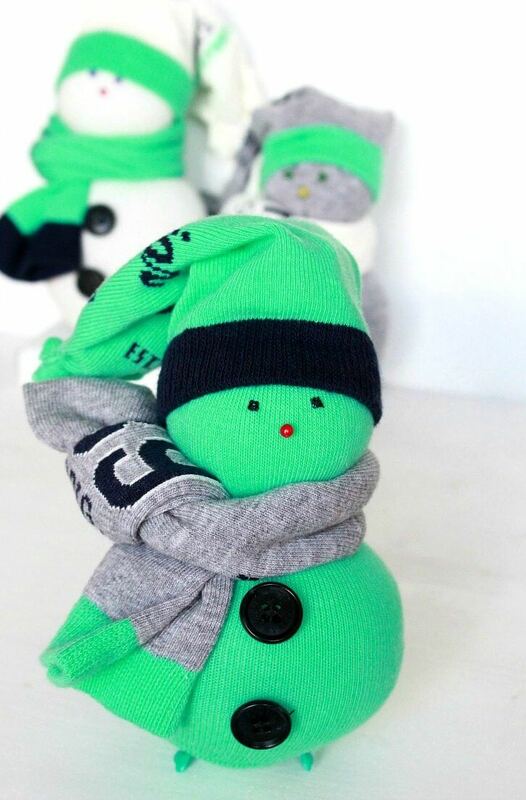 This sock snowman craft is insanely easy to make and looks so darn cute in any home decor! You guys I am so excited! Today I have a super cute project to share with you! 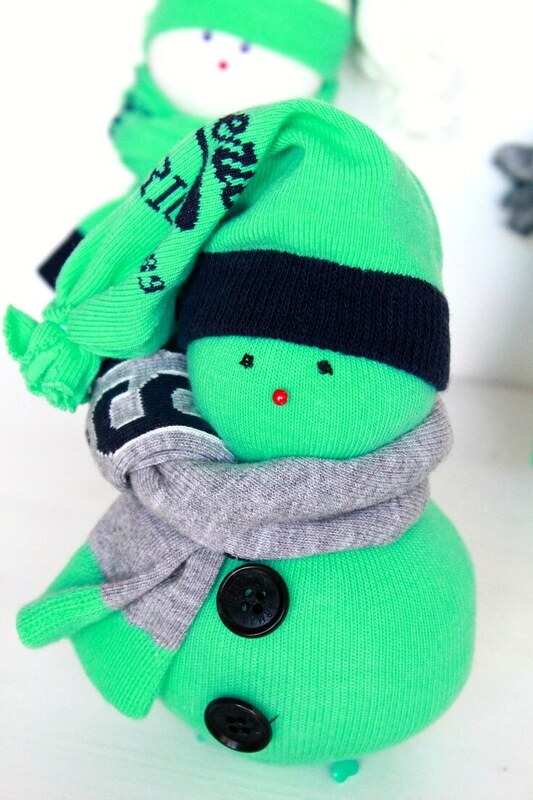 A super easy and super quick sock snowman! 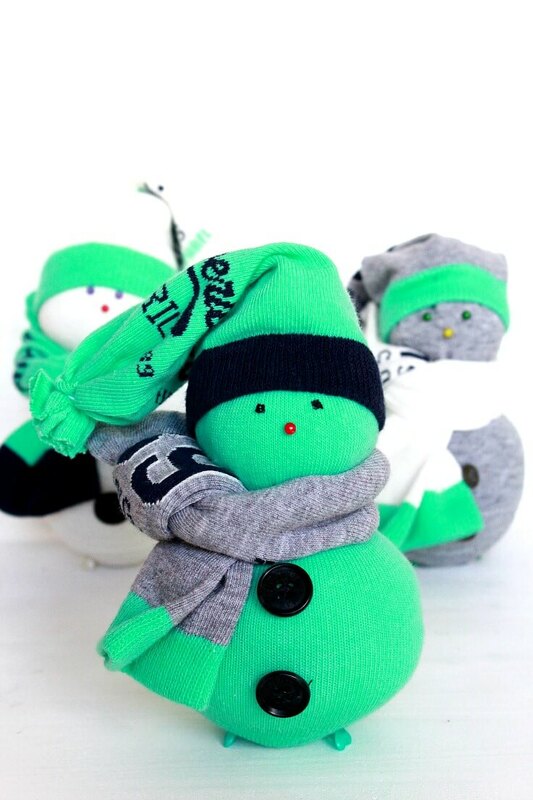 These no sew sock crafts are probably your best choice if you need to put together some last minute Christmas ornaments as these adorable sock snowman ideas take minutes to make, literally! And the result is absolutely fabulous! Need more Christmas decorations ideas? Use these easy peasy sock snowman instructions to create dozens of snowmen ornaments in less than 15 minutes! 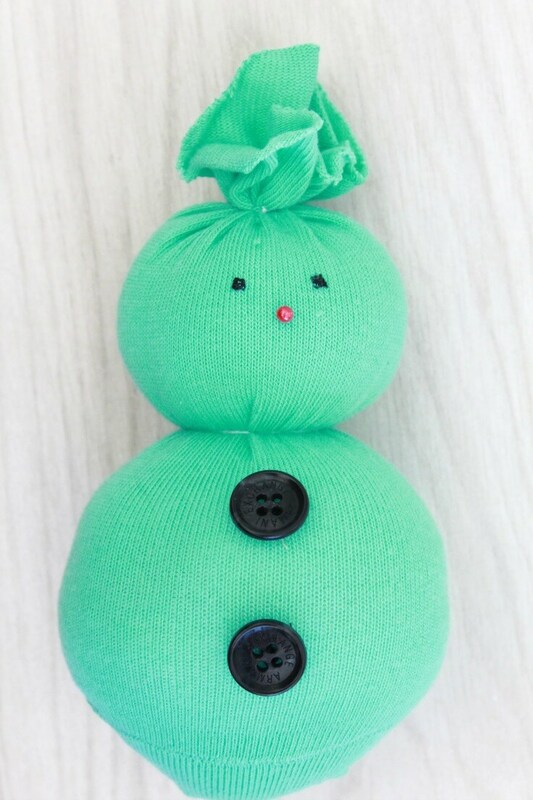 You don’t need fancy materials to make your own sock snowman! You can use really cute socks, in all kinds of colors or socks in “Christmasy” themes. And you can make these little sock crafts in various sizes. If you don’t have poly-fill for the filling you can use rice and use these as nice little fabric or paper weights. How cool is that? Also rice would make these more stable if you plan to put the snowman on display on a table or your mantle. You could also add a few drops of your favorite essential oils to the rice filling and use your sock snowman as a deodorizer for the home or your car. 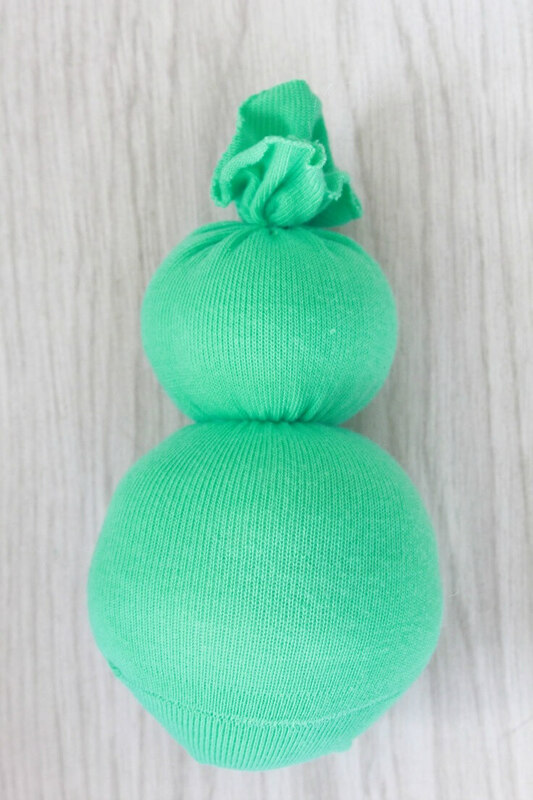 This simple sock snowman tutorial requires no sewing so it’s a great project for kids or people who don’t sew and it’s an awesome way to put old socks to a better use. This snowman sock craft could also be a great homemade Christmas gift for a Frozen lover in your life. 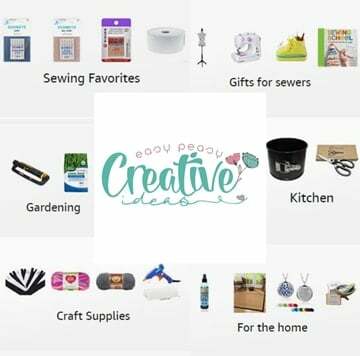 So many amazing uses for such a simple, easy and quick craft! A fun, adorable winter craft! So next time you want to build a snowman, there’s no need to venture out into the snow, you can bring the winter indoors with this brilliant craft idea! Cut one sock at the heel. 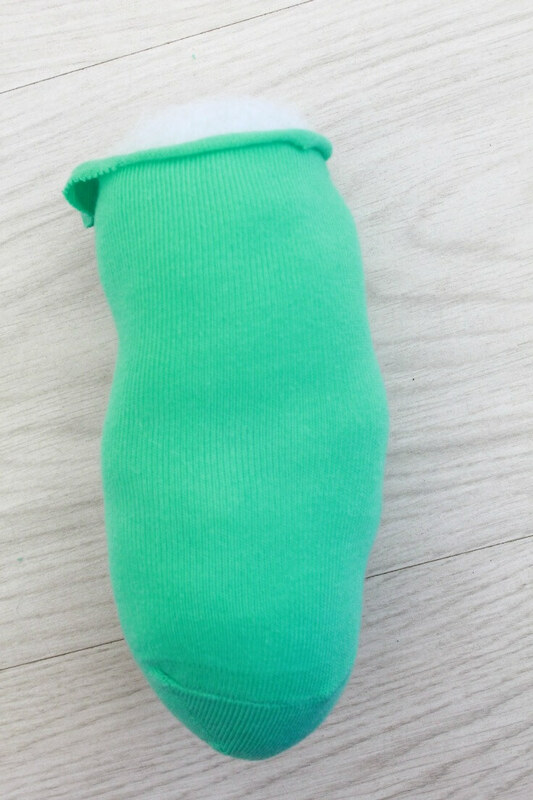 Fill the “foot” part with polyfill to the top. 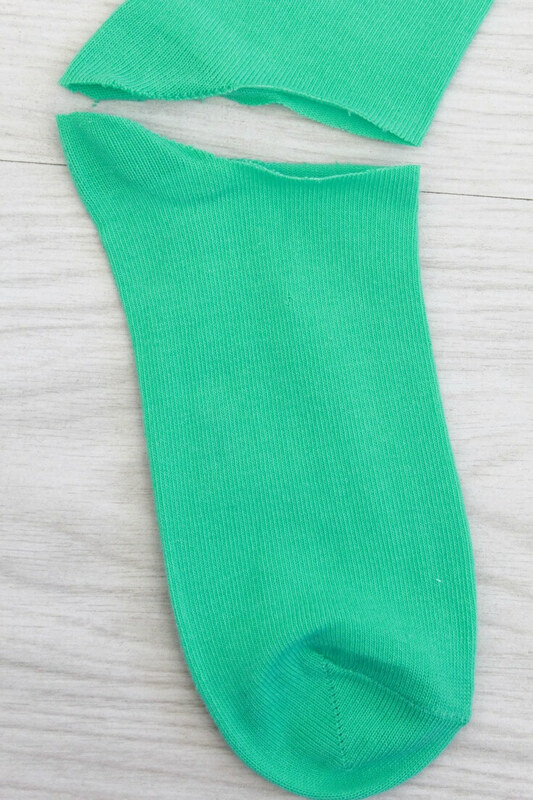 Grab some thread and wrap around the top to close the sock. Decide how big the body will be and separate the head from the body with thread. Add pins as eyes and nose (or hand stitch with colored thread; I didn’t have black pins so I used thread). Use the rest of the sock to make the hat. Wrap some thread around the cut end and pull the other end over the head. Use a full sock as a scarf. If using polyfill, your snowman might have troubles standing so use 4 pins as “legs”. Or here’s an idea that occured to me after I’ve finished my snowmen: right before filling with polyfill, turn the sock wrong side out and wrap some thread around the tip, then turn the sock right side out and proceed as indicated above. And you’re done! 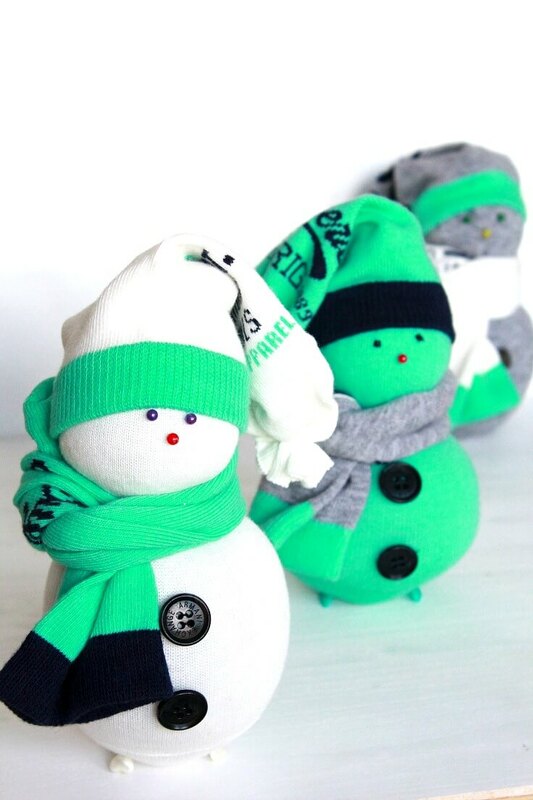 Your DIY sock snowman is ready!